Explore an eccentric and speculative future world in this rotating touchscreen exhibit. 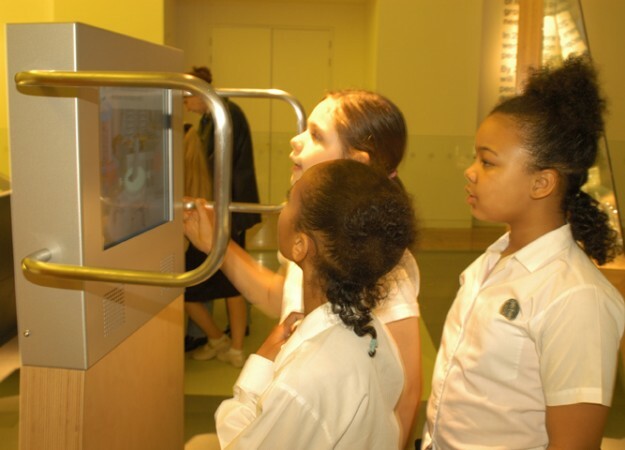 In 2004, Blast Theory were commissioned to make an exhibit for the Science Museum in London. As part of the museum’s new Energy Gallery, the commission invited the group to explore how our energy needs might be met in the future. In response, Blast Theory produced an interactive exhibit called The Exploratron. 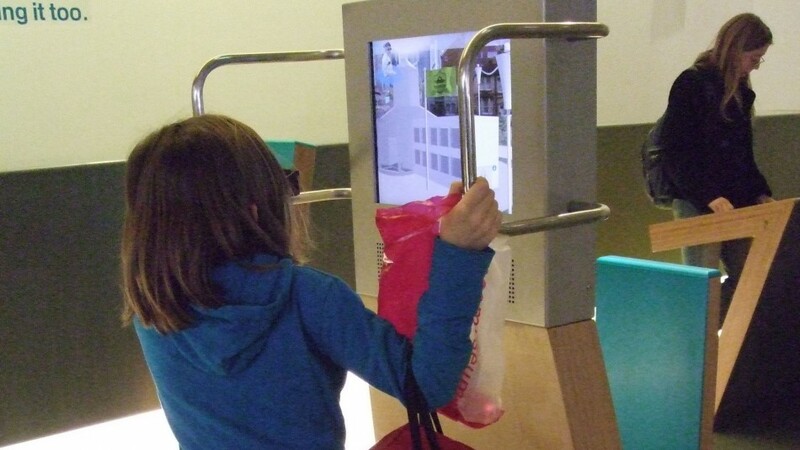 The Exploratron is a touch screen mounted on a rotating post which allows users to navigate a 360 degree panorama. By turning the screen, visitors are able to look across a photographic collage of an imaginary landscape of the year 2050. As they turn the screen, they are invited to find answers to questions posed about our energy use. Questions cover topics from micro-generation and new battery technologies to environmental buildings and wave power, using collaged animations to illustrate answers. For the exhibit, the group worked with Australian artist and animator, Dallas Ransom and in collaboration with the Science Museum’s own science team to produce the animations; pulling together scientifically validated reference material with an eccentric take on how the future might look in the year 2050.